DEVECSER, HUNGARY. 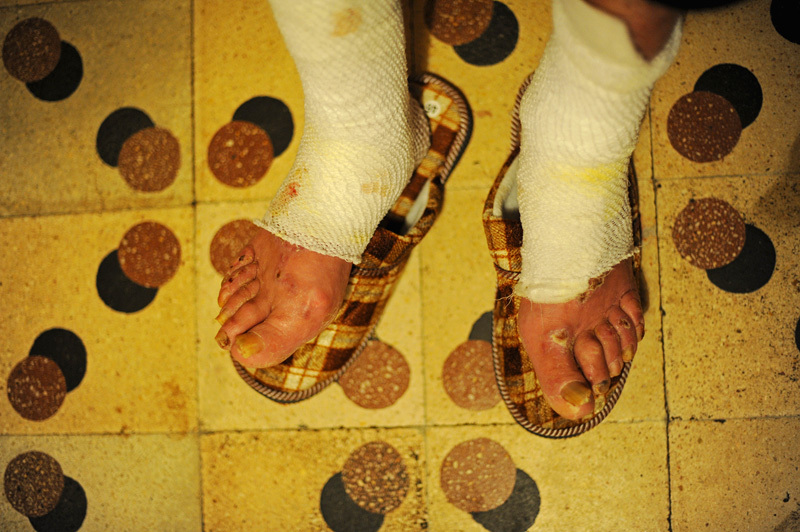 The feet of Laszlo Markos, 61, who was severely burned in an industrial accident resulting from a collapsed reservoir wall that sent a torrent of toxic red alumina sludge gushing through his home, in his makeshift residence where he lives with his wife on November 23, 2010. The elderly are particularly susceptible to the protracted pain of the burns due to the fact that many were unable to escape fast enough when the accident occurred and spent an hour or more wading in the toxic sludge.